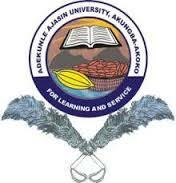 Adekunle Ajasin University, Akungba-Akoko (AAUA), Ondo State Transcript Step By Step Online Application Guidelines and Procedures for Graduates. This is to inform all the graduates of the Adekunle Ajasin University, Akungba-Akoko (AAUA), Ondo State, that the management of the institution has released the new procedure to apply for academic transcript online. 2. Upon your first visit to the platform, if your admission year is from 2012 to date, you can kindly click on Apply Now and Log in with your matriculation number and your surname then you will be prompted to update your profiles (i.e your email, phone number and your start session and end session).But if your academic session is before 2012, kindly click on Apply Now. Then Register (New User) and Complete the Registration form. 3. For users with academic session before 2012, You will be requested to provide your matriculation number which will serve as your Itranscript user name on the AAUA Itranscript portal. 4. Please, complete the form accurately, providing your personal details, password, Faculty, Department, and transcript degree requesting for. Then click on Register to proceed. 5. For student’s copy of academic transcript Login to Your User Dashboard using your Matriculation Number as Username and your Surname as password or your updated password, then click on Make Payment (REMITA) and click on Generate RRR and choose “Student’s Copy”(Note: no registration is required). 5b. To apply for copy of Original transcript, Simply Click on “Apply for New Transcript” for transcript application. 6. Next you will be requested to provide the information of the Institution you want to send the transcript to. (Please be careful to provide correct information about your intended Institution Name, Full address of institution (with P.M.B), faculty, and department, Programme you have applied for and academic session. (Ensure that your information are detailed and accurate). Then you click on “APPLY”. (ii) You can also pay through any of the BankOutLet. (ii)b. Type in your Transaction Order ID and your RRR generated, these can be found on your view invoice generated payment page(https://itranscript.aaua.edu.ng/a/remitapayment.php) and click on confirm payment. 9. If your payment is successful or Unsuccessful or Pending, you will be automatically redirected to Your Student Dashboard Payment Page for Payment STATUS. Note:You can request for more than one transcript at a go, by making different requests with different payment. 1. Login to your Student Dashboard and, click on Transcript Page,then click on Track Transcript. 2. You will be requested to provide the Transcript ID. (Note: Transcript ID number is found on the payment printout receipt for each transcript).